There’s a new club forming in our union west of the Continental Divide. It’s battle-hardened in victory and ready to roll, and has demonstrated its ability to travel having already made the lengthy transit to Colorado’s Capitol for a friendly versus Denver Harlequins at the end of September. By all accounts Salt Lake City Gladiators Rugby Club has exhibited all the traits of an organization that is viable: they’ve the numbers, the infrastructure, SLC players have been CIPP-ed by USA Rugby, and they display the will to succeed in Men’s Division-2; just now, they’re waiting on official union sanctioning and scheduling. Lofi Fuatogi is the Gladiator’s head coach and prime motivator. The Fort Hood, Texas native slots in at flyhalf as well for the XV that is quietly making inroads into our union, though the Gladiators have yet to obtain recognition by and approval of their hoped-for entry into the league. Fuatogi began his rugby as a ten year old on the playground where, “my friends and I would kick the ball around during lunch break at school.” From there he went on to play for a number of teams including Hawaii Islanders and Parramatta Two Blues RFC (Sydney, AUS). 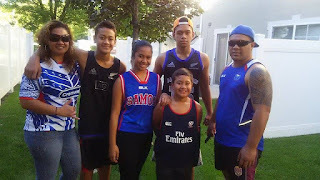 Mr. Fuatogi also earned national placement for Samoa on its U17, U19 and U21 sides as well as Samoa A, qualifying for Manu Samoa through relations. The energetic three-quarterline player also features at first five-eighths and fullback. Gladiators hold mandatory training sessions Tuesdays and Thursdays in addition to optional Wednesday practice. Thus far the recruiting program has consisted of contacts from SLC Gladiators Facebook and word of mouth. The club’s inaugural match was a victory over Denver Harlequins, 24-17, at the Quins home ground at Cook Park, Denver. Salt Lake is looking for matches to fill out its fall and spring 2016 schedule and can be contacted via email or on the Facebook page. “One of our goals moving forward is to establish rugby relations with one or more of the youth programs in the Salt Lake area,” which would be in the form of both skills and coaching clinics Fuatogi reports, as the Gladiators well understand an emergent academy structure is a crucial ingredient for the success and longevity of rugby organizations in the 21st century. With the Gladiators road victory and formative success, the team has shown that they are both willing to travel and that they can be competitive on that road. It is hoped that with the organization’s commitment to our game that they can obtain a provisional appointment to the union that will provide them with a match schedule and regional GRU (Geographic Rugby Union) sanction. 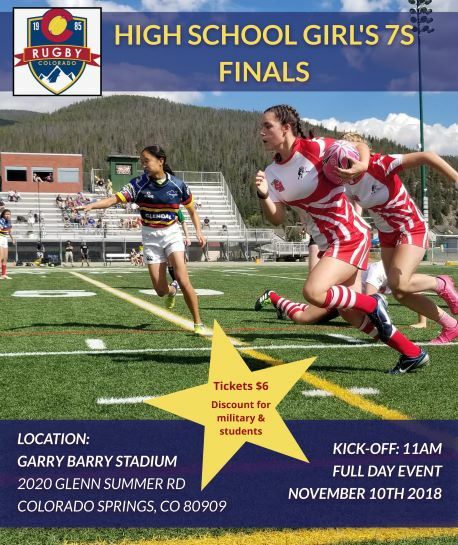 “Salt Lake City Gladiators will do whatever it takes to help out the young players get recognized for their talent and strengthen rugby in the United States,”.